Do you like Trap ? 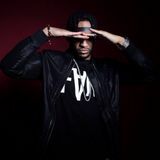 Dj NastyNas is definitely one of the most wanted DJ&apos;s in Paris of his generation. If he is voluntarily choosing Rap, Trap and House, he does not refuse EDM’s collaboration to make his style unique. Dj NastyNas is now part of the biggest sports events like Le Quai 54 or Les Oscars du Foot every year. He is next recognized by Akon who’s going to make NastyNas the first French Dj/Producer in his record label Konvict Muzik. This is where he made his first move in the USA producing “Prom Night” with Jeffree Star who got more than 4.000.000 views on youtube.